Italian Experimental Cinema – una mostra sul cinema d’artista italiano dalla protostoria del Futurismo fino ai nostri giorni. Questa mostra antologica sul cosiddetto “Cinema d’artista” e più in generale su quello sperimentale/indipendente include proiezioni cinematografiche, opere grafiche, fotografiche e installazioni multimediali . Italian Experimental Cinema ripercorre la storia del cinema d’artista e/o sperimentale, partendo dalle origini del cinema, quando le potenzialità del dispositivo di ripresa e di proiezione cominciavano a essere indagate, fino a spalancare la porta alla contemporaneità. Gli oltre 100 artisti e cineasti coinvolti sono qui chiamati in causa in virtù della loro entrata nella nuova era digitale attraverso il riciclo di materiale in pellicola, la costruzione di apparecchiature stenopeiche Super-8, l’uso di cineprese Super8, 16mm, 35mm, videocamere digitali, personal computer, applicazioni di editing scanning e rendering. Questa infinita serie di dispositivi ha consentito agli artisti di produrre immagini e di rinnovare il linguaggio audiovisivo di un cinema in cui le tecniche utilizzate per la realizzazione dei film non erano e non sono indifferenti al contenuto degli stessi. What is the so-called Italian ‘experimental’ cinema? Cinema realized by artists, underground cinema, amateur or first-person cinema, film diaries, cinematic research, structural or material cinema? And what of cinema as a means of audio-visual experimentation and research, far from the objective stance of narration? 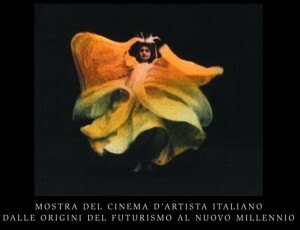 Italian Experimental Cinema consists of more then 30 programmes of screenings, which span from Futurism to the new Millennium and also includes several Live Multimedia Performances. Here, I believe, are a selection of amazing visual works that stray from the mainstream and marketplace of visual production in an elaboration of different strains of cinematic thought. ‘A cinema like a shadow’ to paraphrase Giordano Bruno, who is in turn cited by Harry Smith as the initiator of the cinema in his work De immenso et innumerabilibus (1591). Bruno sustains that there are an infinite number of universes, which distinguish themselves from each other with only slight differences, and where the perception of movement is entirely and uniquely a mental operation. A theory that is transposed into the domain of cinema – it can be seen in the celluloid made up from numerous frames, which run at variable speed determining an illusion of movement. In De Umbri Idearum (1582) the Nolan philosopher states that man is a shadow, and is therefore neither light nor darkness. That which brings us to the immaterial phase of the cinematic medium, the intermittent alternation of light and darkness that characterizes cinematic projection. Independent cinema taken as a whole, that which is commonly (mis) known as “experimental” cinema, is today a singular and fundamental part of film history. The uncountable traces left by its journey have marked and even sometimes anticipated the manipulation of the cinematic image, of its sound, space and time. A search that contradicts the creations of the film industry and where it is possible to trace back to the theoretical texts on Western philosophical speculation – just think of the influence of Henri Bergson’s theories on the futurists. This cinema is in itself a progenitor of thought, which refuses to entertain and distract the individual and implacably sinks its criticism in the dominant cultural horizon. It opens up the burning debate of the entropy of modern society, on the wreckage of physical reality and the ethical commitment of human values. This cinema is eccentric, a site where the distance of its collocation should be sought out in the periphery of the margins of the film industry, which often leads back to a common denominator, is that it is substantially endowed with experimental flexibility and the desire for research, always at the limits of the territory of exploration, never folding back on itself, on its own definitive limits and less than ever linked to the functionalism of marketing. A specific characteristic, that often became an invariant in Italian Experimental Cinema, is the enigma of the Italian visual poetics that is born of the identity crisis, which ran throughout the 20th century and was preceded by the weak thought which welcomed the new Millennium. Inevitably the films concentrate above all else on the body/soul binary, the greatest dichotomy of Western speculation. The research of contemporary Italian artists in fields of exploration and renewal of visual media, when combined with a typical Italian sensibility, could be ascribed to the poetic innovation of Dante Alighieri, as the choice of a linguistic register that range from science to philosophy. Italian Experimental Cinema brings to attention a cinema where techniques used to create films were not indifferent to their contents and look to the potential possibilities of the cinematic thought with different innovative approaches. Sometimes they look back to the origins of cinema when the potential devices began to be explored. 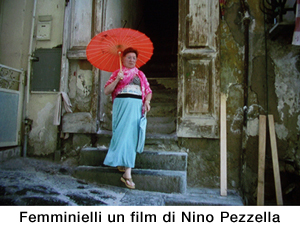 * Curzon Cinema, 22th – 24th November 2003, London, U.K.
* 4th Independent Film Show, 1st – 4th Dec. 2004, Fondazione Morra, Naples. * ANIMACTION2, 16th – 25th April 2005, Filmstudio, Rome. * SEGNALI LUMINOSI, 7th – 11th May 2005, Palazzo Gradari, Pesaro. * DIGITAL STILNOVO, 7th – 12th Dec. 2005, BizArt Center, Shanghai, China. * SAPIENZA CINEMA, D. STIL., 30th March 2006, Univ. La Sapienza, Rome. * V-Art, 12th October 2006, Sala Tiscali, Cagliari. * Occhi Elettrici: Il cinema futurista e le altre avanguardie, 2009, 19th – 26th May, Teatro Massimo, Cagliari. * I.E.C. V.2 ’09, 27th – 30th November –1 December, Cinemazzurro, Ancona. * I.E.C. pub. lecture & sample program, 23th March 2011 Copenhagen, Denmark. Danish Film Institute, Copenhagen, Denmark.